Vladimir Krainev possesses that rare combination of the talent of a world-class pianist and that of a wonderfully communicative teacher, he himself having being taught by the legendary Heinrich Neuhaus. Having won the first prize in piano at the 1970 Tchaikovsky Competition in Moscow, he is now a professor at the Musik Hochschule in Hanover and a jury member of several competitions including the Leeds, Clara Haskil and Tchaikovsky. In addition to his teaching duties he concertises extensively across the world. 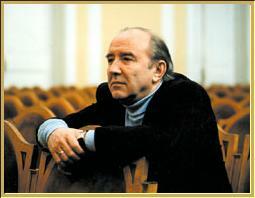 His discography is extensive, with pride of place going to his several recordings of all five Prokofiev�s piano concertos, as well as Mozart�s piano concertos among others.